Jacana SMART Training Center trained a year ago welders and drillers to expand their businesses. 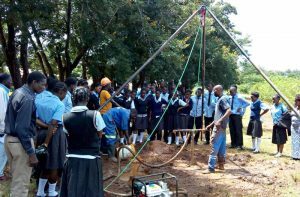 The welders have learned how to make a rope pump using local materials and the drillers how to drill boreholes manually up to 40 meters deep. In addition, they have all followed a business, financial and marketing training. Jacana has been supporting them for more than a year now. And what is the result? We see that the entrepreneurs are doing a good job. They have all learned a lot in a year and are already able to manage their businesses. In the beginning they were very dependent on the assignments they received from Jacana. 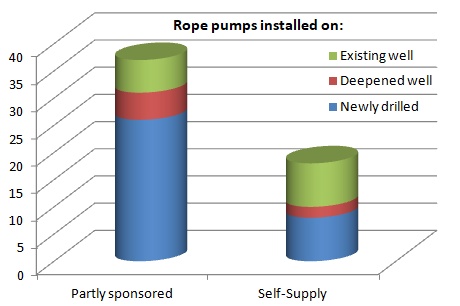 These are the partially sponsored pumps for families in the small villages around Chipata. We soon saw that Self-supply started. By Self-supply we mean that the entrepreneurs, such as the welders and the drillers, sell their products directly to private individuals without the intervention of Jacana or any other organization or NGO. This does not mean that we leave the welders and the drillers completely to their fate. Jacana still mentors them in business management and guides them in how to approach customers, create contracts, manage depreciation of materials, keep accounting systems etc. Interestingly we see that more and more families are getting to know the SMARTechs (Simple Market based Affordable Repairable Technologies) and are approaching the welders and drillers directly. Some families first want to consult Jacana before engaging the entrepreneurs. To guarantee quality, Jacana approves each pump that is placed and issues a quality certificate with the telephone number of the relevant entrepreneur who installed the product. If the pump needs maintenance, the owner can contact the entrepreneur directly. 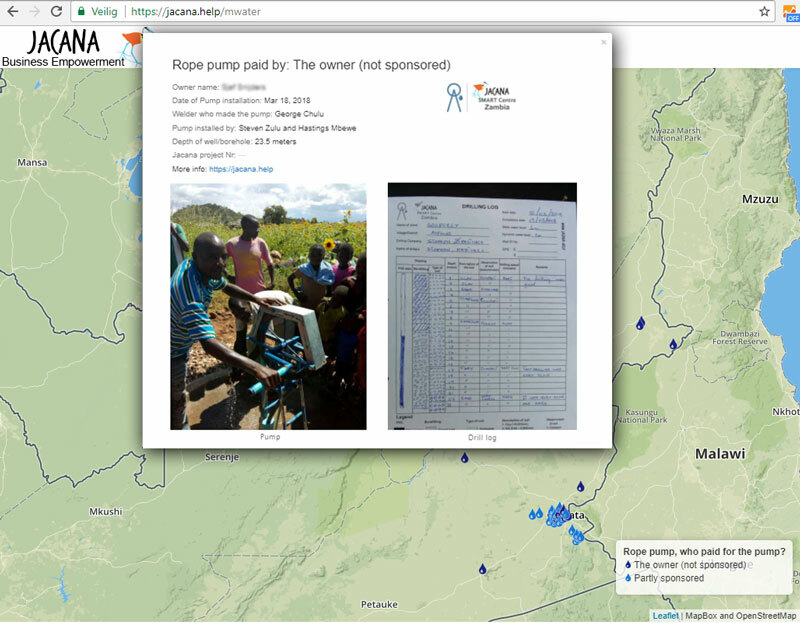 To our surprise, not only pumps for existing wells (about 400 euros) are bought. Actually, new boreholes were requested from the beginning.They are a lot more expensive (about 900 euros) but the demand is high. 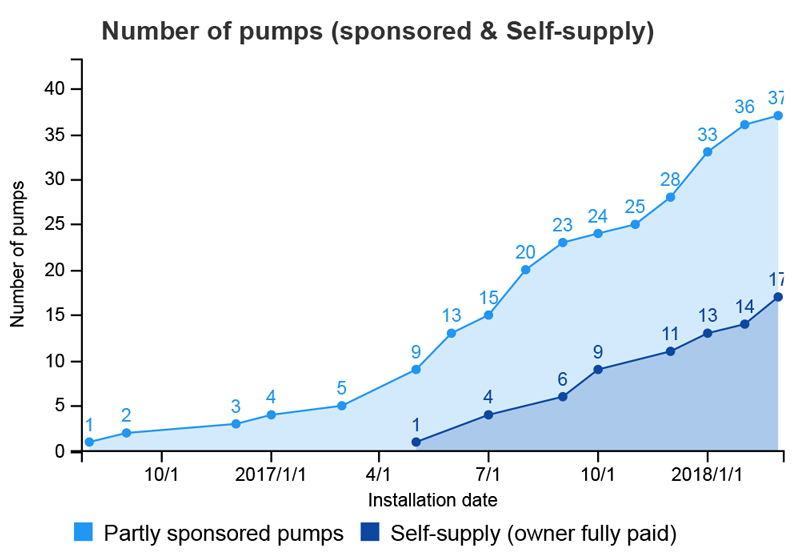 Where once a pump is installed in a certain area, we often see that more requests are coming. What is also striking is that even though most pumps are privately owned, the water is shared with an average of 10 families from the area. Private pumps have the advantage that the owner can earn money with the pump and the pumps are better maintained. Apparently, the pumps are also serving the community. We call it: “Private owned, community served”. In order to help the welders and the drillers even more, Jacana takes part in field days organized for farmers, students and other interested parties. 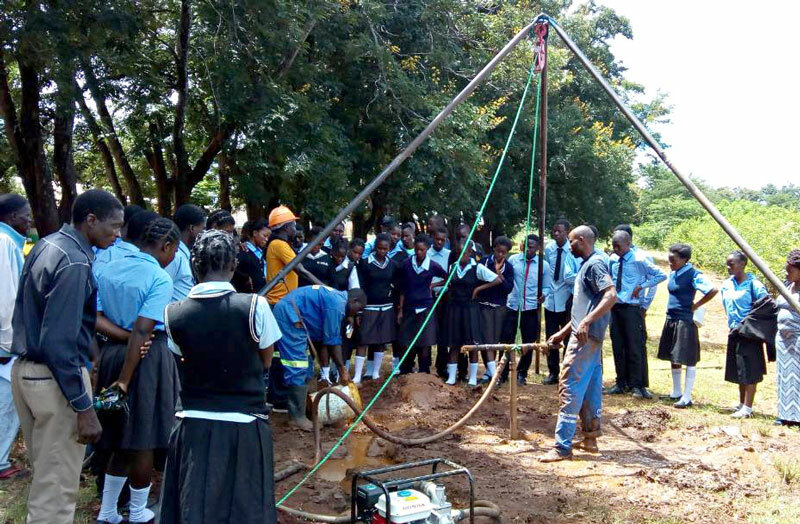 During these days the drillers show how they drill boreholes manually and people can experience a demo-model of the rope pump. In this way, the entrepreneurs expose what they have to offer and answer questions from interested parties. The response is always huge. After that, the drillers and the welders visit the people who were seriously interested and hope to get orders in this way. When Jacana is no longer operating in this District, then these entrepreneurs will be able keep on expanding their businesses under one condition, that they need to keep on delivering quality and work in a customer-oriented way.